As 2018 is coming to an end, many are reflecting on this year and are setting New Year’s resolutions. 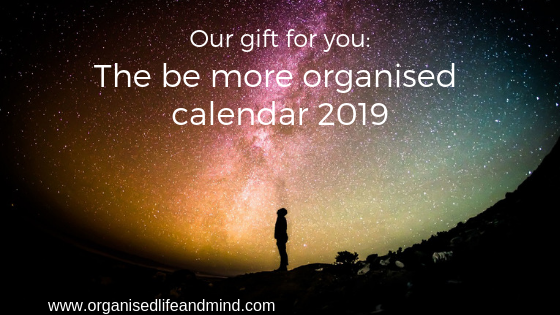 Being more organised is – as in previous years – one of the top resolutions. Does that surprise you? Not us. After all, being more organised reduces your stress, you waste less food, energy and money and you improve your relationships with your family, friends and at work. We are super excited!!! Today’s the first day of NOW, the National Organising Week, is here. The decision to have NOW at the beginning of November was easy. This week will give you the start to declutter and make space in your home. It will set you up for stress-free Thanksgiving, National Day, Christmas and New Year’s Eve celebrations. Most importantly, NOW will give you peace of mind. No matter what the busy last few weeks of 2018 will throw at you, you can handle it!! So let’s get started with NOW. Do you have a cleaner? 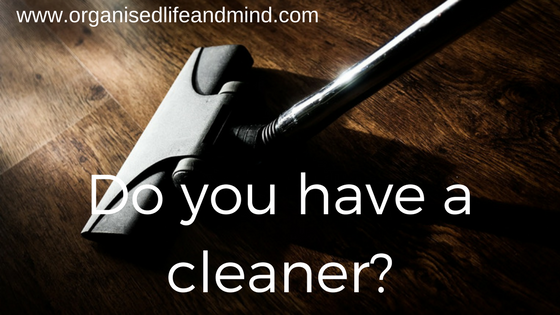 Think a cleaner is a luxury? You are probably looking a bit irritated by this question. We work in a region where having a cleaner is almost taken for granted. If you’re reading this post in Europe or North America, you may see a cleaner as a luxury. Let’s take a step back and see if it truly is a luxury. Tomorrow is “Clear Your Clutter Day 2018”! The founder of MoneyMagpie.com, Jasmine Birtles, set it up to help “live simpler, more clutter-free lives”. Tomorrow, get rid of what’s weighing you down and make space for the things you truly enjoy. You don’t where to start? Grab a bag and start with one area. This could be a drawer, a shelf or your coffee table. We encourage the nation to get organised during NOW! 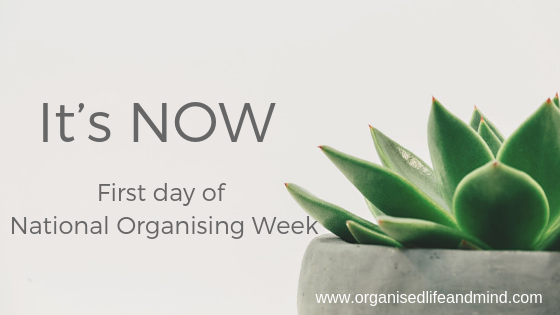 APDO Association of Professional Declutterers & Organisers is running the 4th annual NOW National Organising Week this Autumn. Through social media, blogs and partnerships, the association will motivate and inspire people just like you to organise their homes and workplaces. We are taking part in the campaign and bring it to this region! How are you getting on with this challenge? On 1 March, Lent started and so did our 40 bags in 40 days challenge. For the 40 days of Lent, you’d declutter one shelf, drawer or other area in your home per day. You don’t think it’s possible?! I challenge you! You can do it! Saturday is “Clear Your Clutter” Day! Get ready! 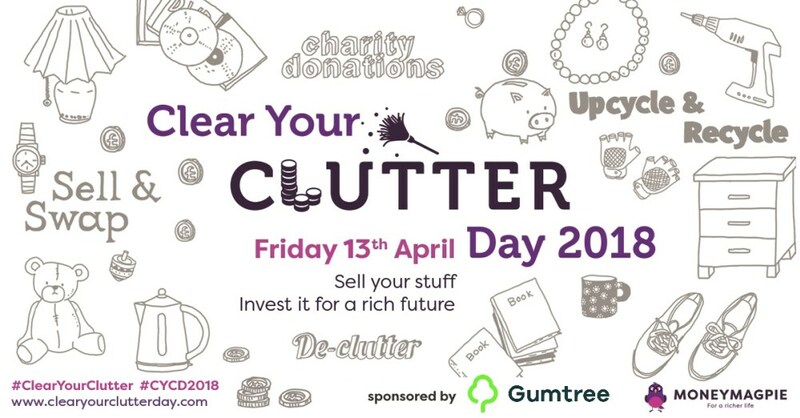 This Saturday, 11 March, is “Clear Your Clutter” Day. It’s your day to get rid of some of the stuff you no longer want or need. Whether you take this day and start with a shelf, focus on a room or continue on your decluttering journey, it doesn’t matter. What’s important is that you start. Ash Wednesday (1 March) is the beginning of lent and Christians are giving up something. Lent lasts for 40 days until Maundy Thursday (the Thursday before Easter) and is generally seen as a period reflection, self-examination but also improvement. Some Christians are thus giving up an indulgence like chocolate, while others give up a bad habit like smoking. Why not use lent 2017 to participate 40 bags in 40 days, regardless of your religious beliefs? Have you ever done speed decluttering? No? Let’s try it today. Many people fall into a “winter depression” with the festive season over and weather being grey in grey. A speed decluttering session can make you feel better immediately. Are you ready? It’s the second week of 2017 and you know what that means. Exactly, most people are still on their high to make their resolutions stick this time! “This is the year I’ll change – no more excuses!” This is one of my clients who’s preparing for his first garage sale already!